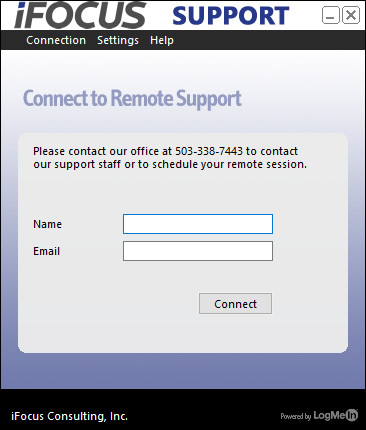 For our managed care customers we provide Remote Support Services with our iFocus Support application. This software allows us to provide technical assistance with direct interaction to you computer without the need of an onsite visit. 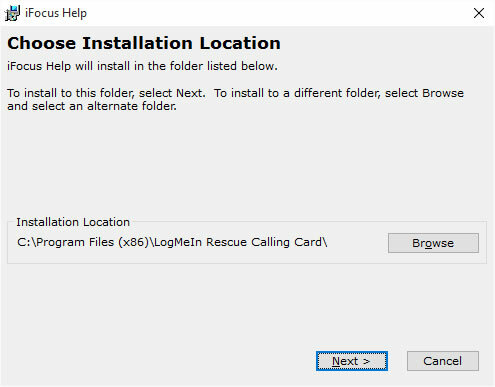 The software utilizes a custom LogMeIn Rescue account to provide an encrypted and secure connection into your environment. If you do not have "Administrator" rights on your computer or have problems with the installation click this link. Once downloaded you will see a prompt similar to the images below. Simply click to Run. When successfully installed you should see the following screen. 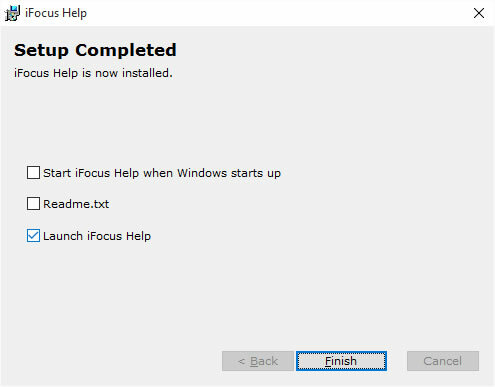 After installation you will find the iFocus Support shortcut on your desktop for future use.